Steven & the Gems go camping! When Steven Universe takes his super heroic pals, the Gems, on a camping trip, he decides it’d be fun to tell them a scary story. But the Gems—Garnet, Amethyst, and Pearl—have a spooky yarn of their own where a monster turns bad Gems to glass. It’s of little consequence until citizens of Beach City turn up frozen! 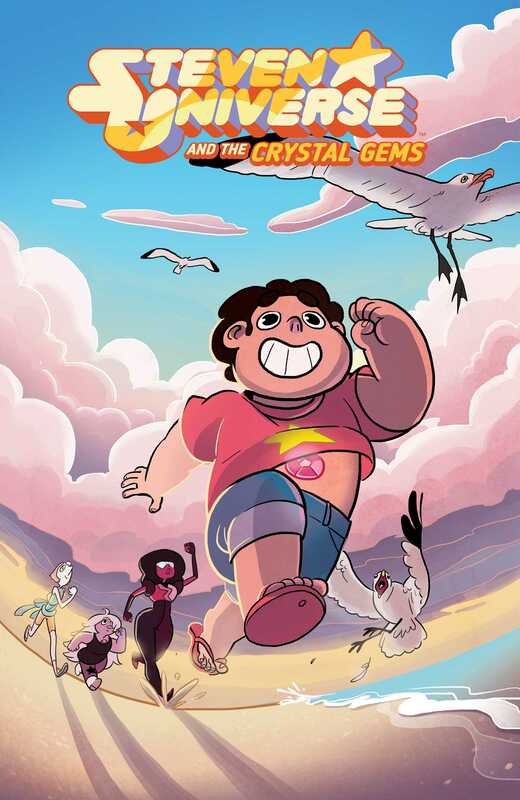 Written by Josceline Fenton (Hemlock) with art by Chrystin Garland (Adventure Time), Steven Universe and the Crystal Gems explores the magical world of the hit Cartoon Network show.